President Rodrigo R. Duterte said “I want someone whose integrity people believe in. Of course, it could not be a politician, especially not a woman,” referring to the qualifications of the next Ombudsman. Following the resignation of the Ombudsman Merceditas Gutierrez, former President Benigno Aquino III appointed the 76-year old retired Supreme Court Justice Conchita Carpio-Morales which term will be ended on July 2018. “I have to consult everybody. 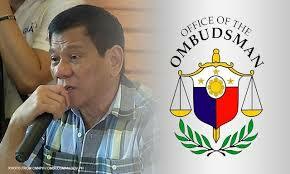 I will even have to consult the Ombudsman people – but not Morales,” added.